For more than twenty-five years, Step by Step has ensured that disadvantaged children living in economically-challenged communities throughout the southern coalfields of West Virginia receive continuous, comprehensive care from birth to independent adulthood. From its early days as a writing group for children in foster care, Step by Step has evolved into a regional grassroots 501 (c) (3) non-profit organization dedicated to supporting children and families as they learn to “dream, work, and grow” together. Whether at our community centers, in our afterschool and summer programs, or as part of our home visits, at-risk children and their families have access to free education services, healthcare, economic support, and an array of training opportunities. 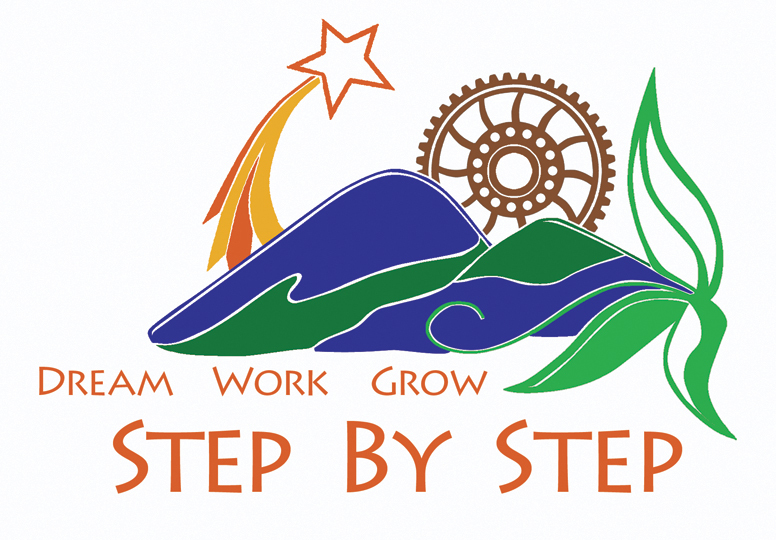 Step by Step, Inc. is dedicated to people working together to achieve their dreams in kindred communities across West Virginia through: dialogue, education and the arts, wellness, local leadership and service. We envision sustainable, healthy, growing, and dynamic communities in which people thrive and support each other to dream, learn, work, and play. Step by Step directly serves four counties (Kanawha, Lincoln, Logan, Fayette), maintains partnerships with communities in six additional counties (Wayne, Roane, Jackson, Mason, Mingo, and Boone) and coordinates multiple statewide initiatives. We uniquely serve economically-challenged communities with limited access to resources due to geographic, cultural, or other forms of isolation. Along with providing direct services, Step by Step works closely with local and regional partners to increase the capacity of families and communities to care for themselves and their children. 2) To supplement the formal education of children and youth with opportunities for learning and growth during and outside the school day throughout their developing years. 5) To analyze and provide input on social welfare policy and provide leadership and advocacy opportunities for youth and families. Receive updates about events, trainings, service projects and more.